Theological seminaries and divinity schools have several significant parallels in that they both offer theological education and ministerial degrees on a graduate level. A seminary is usually graduate and post graduate school that’s sole focus and purpose is training theology students for advanced degrees. 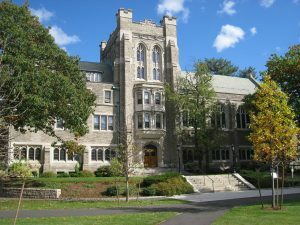 By contrast, a divinity school is usually a seminary section within a traditional university that offers seminary degrees. In addition to the strong focus on Biblical studies, these degrees also are geared to create a deeper spiritual formation amongst graduate students as well as a deeper understanding of Biblical applications and effective preaching and teaching techniques. No matter what your academic and other aspirations may be, both seminaries and divinity schools are great places to study theology. Either one will likely serve you well.